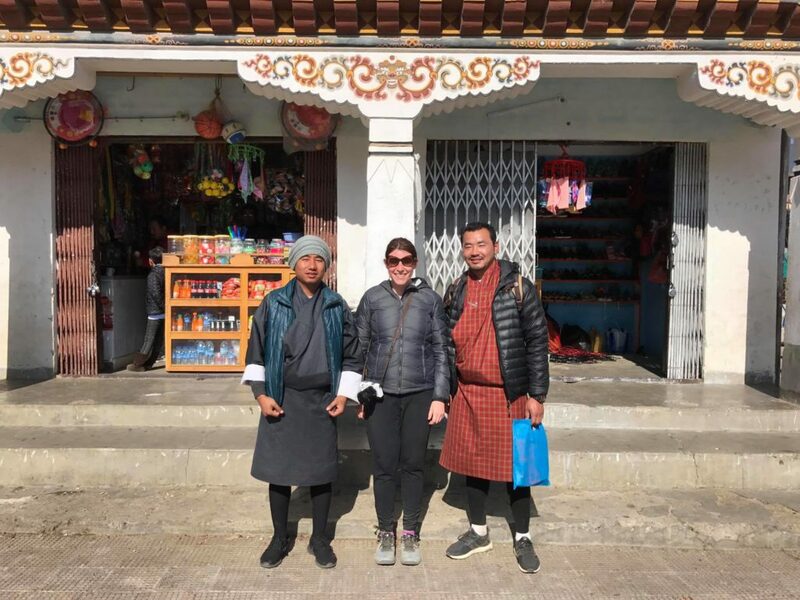 I visited Bhutan at the end of January for 5 days, which presented some packing challenges. 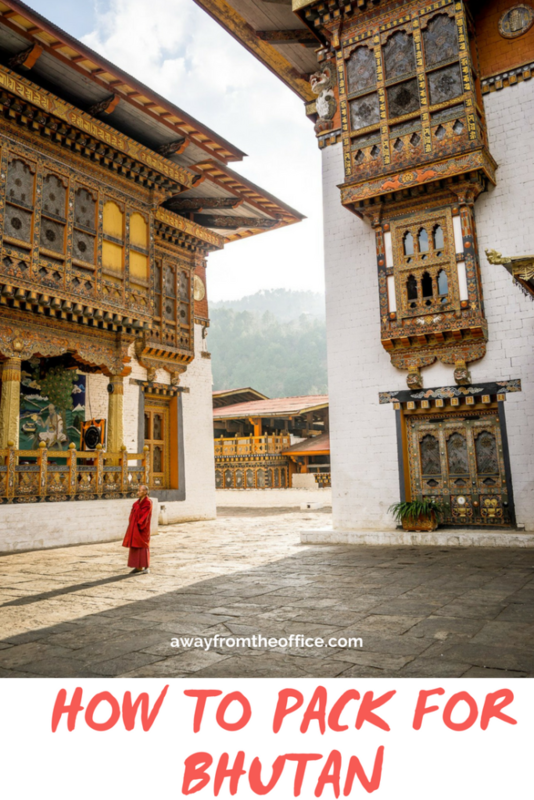 First challenge: It’s winter in Bhutan, which means chilly weather. I also went to Bangkok and Luang Prabang after Bhutan, which meant I needed to have warm-weather clothing as well. Second challenge: I wanted to pack in a carry-on backpack and I had a load of photography gear to bring with me. Third challenge: Packing lists for Bhutan are pretty long (at least the ones I found online) and if I brought along every single item on the lists, there’s no way I’d be able to close my carry-on luggage. Missing the peacefulness of Bhutan. There are no traffic lights or McDonalds. Happiness is quantified in terms of Gross National Happiness rather than GDP. 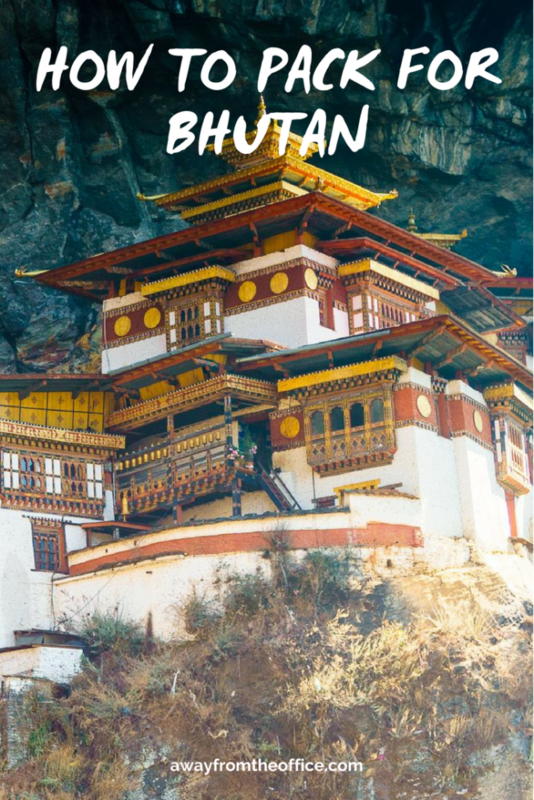 Is Bhutan on your list of places to visit? With that said, here’s what I found absolutely essential to bring. If you’re visiting in the summer, you obviously won’t need as many warm-weather clothes but the other items are still the same. On this trip, I brought my favorite carry-on backpack, the Maxpedition Fliegerduffel. My husband turned me on to this brand since it’s a military-grade bag (a lot of ex-military people use this brand) and virtually indestructible. The duffel has two backpack straps that tuck away when you no longer need them. To carry all my personal items, including my camera/photography gear, I also brought my Pacsafe daypack. 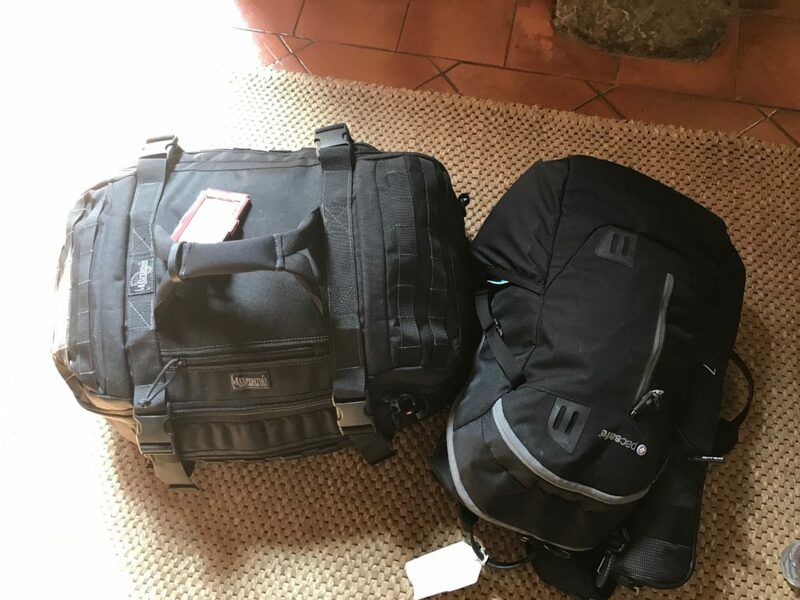 I actually used my Vanguard Havana backpack as my daypack once I landed but in terms of hauling all of my gear onto the plane, the Pacsafe worked wonders. Warm jacket: It gets cold in Bhutan in the middle of January, particularly at night and at a higher elevations. It’s not uncommon to see snowfall in December, January and February. I needed a lightweight jacket that could pack flat in my suitcase once I got to Bangkok. The Lole Emeline jacket kept me warm when it got down into the 30s/40s at night and it took up almost no space in my backpack. If you’re going to be trekking in the mountains in the winter, you’ll definitely need something warmer. Rain shell: Unless your warm-weather jacket also happens to be waterproof, I also recommend bringing a rain shell, particularly one that folds into a tiny pouch. I brought my Columbia Arcadia II jacket, which I also use at home in the PNW. I didn’t need to use it at all in Bhutan since I only encountered light rain/snow on one day. You could also bring an umbrella but I prefer to have my hands free for my camera. Pants: I brought two pairs of pants that I rotated through, along with a lightweight pair of leggings to wear underneath my pants, just in case. I ended up not wearing the leggings during the day but they were certainly nice to have when I was in the hotel room at night. Even if you’re traveling in the summer, you still need to bring pants because you won’t be admitted to the temples in shorts. I packed the Lole Becky Pant (so comfortable that I have two pairs) and the Lole Gateway Pant. Tops: I packed a couple of lightweight long sleeve tees, one tank top to wear underneath my tees, one sweater and one long-sleeved athletic top that I wore on the hike up to Tiger’s Nest. Again, if you’re visiting in the summer, you’ll need to bring long sleeves with you since you won’t be admitted in a tank top or short sleeve shirt. I recommend packing layers because the weather can change dramatically in the span of a few minutes. 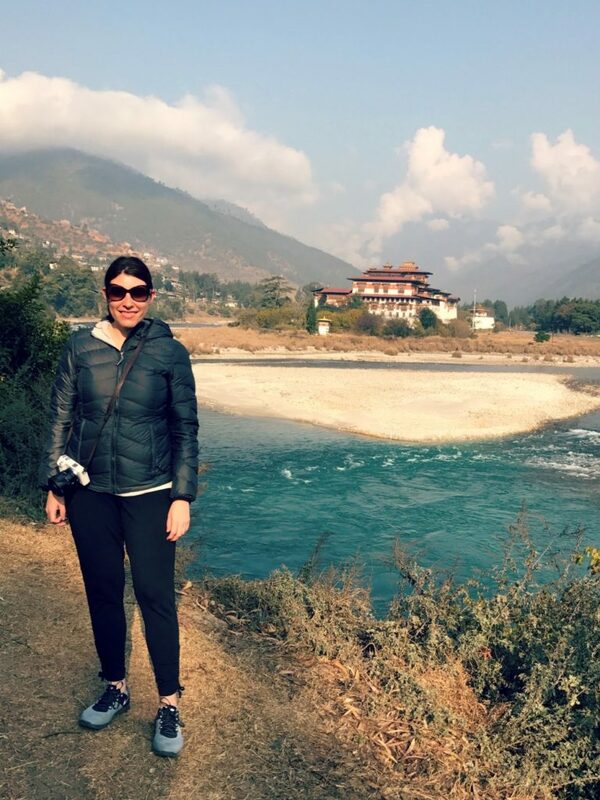 When I was hiking in Punakha, I got warm enough that I needed to ditch the jacket and my long-sleeve top. Socks and undergarments: I know this seems obvious but you don’t want to forget your socks. Your feet will freeze in the winter and visiting temples will be very uncomfortable if you forget them (you have to remove your shoes to enter the temple). I also wore my socks in the hotel room at night since the rooms tend to be a bit chilly, even with the heat cranked all the way up. In addition to a regular bra, you should also bring along a sports bra for the days that you’re hiking. 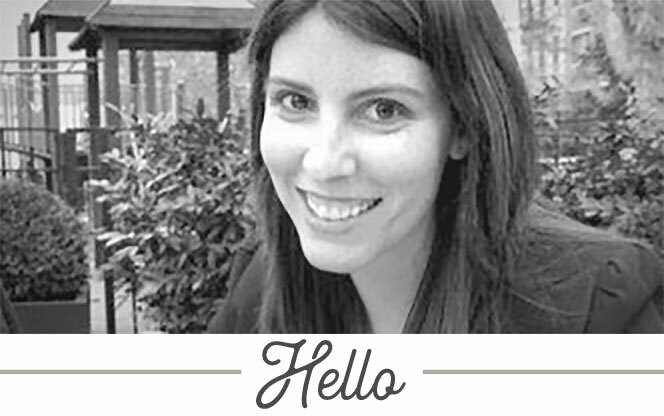 You won’t want to be comfortable in a standard underwire bra on your up to Tiger’s Nest. Shoes: Most of the guides I read said that you need to bring along sturdy hiking boots, which is true if you’re trekking or you just need additional ankle support. While Tiger’s Nest is steep, it’s not a technical trail and I didn’t feel that hiking boots were a necessity. I got by just fine with my Nike metcons, which I also wore on the flight over. Accessories : No matter what time of year you’re visiting, you will need your sunglasses so don’t forget them. While you can certainly buy a pair in Thimphu, why would you want to waste your valuable vacation time shopping for something like sunglasses? If you’re visiting in the winter, bring a warm hat and gloves as well. If you’re visiting in the summer, bring a lightweight, breathable hat to cover your head. Sunscreen: Depending on which town you’re visiting, the elevation ranges from 7,000 feet to 10,000 feet (and higher) so you’ll need to protect yourself with sunscreen. I brought two mini spray bottles of sunscreen and found that was enough for 5 days. Books/Kindle: There’s not a lot to do late at night so keeping yourself occupied with a good book is a nice way to spend the evening. If you’re bringing your Kindle, make sure you download books before the trip since the wifi at the hotels is pretty spotty. Essential documents: Make sure you bring a printout of your visa confirmation since you will need it to board your flight to Paro. Also bring along your passport, copies of travel insurance and credit cards. Flashlight: It gets very dark at night and some of the streets aren’t well-lit. Earplugs: Even if you’re a deep sleeper, I guarantee that you will still need earplugs. Those gangs of dogs are so damn loud and of course they sleep in the middle of the day. Toiletries: I was glad that I brought shampoo and body wash. The hotels will supply you with both but they may not be brands that you’re familiar with. Don’t forget your deodorant and toothbrush/toothpaste either. Snacks: You may get hungry while you’re hiking and it’s nice to have some food from home. I brought a few Larabars from home which I ate while hiking up Tiger’s Nest. Medication: Bring all your medication from home. I also bring along melatonin since it helps me adjust when I have jet lag. I didn’t have any prescription motion sickness medication with me and I wish I did since the roads in Bhutan are very windy and I almost got car sick a couple of times. Daypack: You’ll want a daypack to carry your daily essentials in. I brought along the Vanguard Havana 41 since I always carry extra lenses and it has space at the bottom to hold them. There’s a divider at the top to separate personal items from the compartment that holds the lenses. If you need a daypack that’s suitable for your photography gear, I highly recommend this one. International adapter: Electricity runs at 220-240 volts so there’s a good chance that you will need an adapter in order to charge your electronics. I’ve used this Kensington international adapter for years; it has multiple plug options and comes with 2 USB ports, which is handy when you’re in a hotel with only one outlet (common in Bhutan). Your cell phone: You likely won’t have service so consider buying a local Bhutanese SIM card if you need to be connected. Cash: Bhutan has ATMs but they can be a little unreliable. I didn’t spend a lot of money but did manage to buy a couple souvenirs, a few beers and I also brought along enough to give my driver and guide a good tip ($10-15 per day is average). The average person isn’t going to bring all this gear but I want to give you an idea of what I packed. My photo gear took up a lot of room in my luggage but I still managed to bring carry-on only luggage. Camera: I have a Sony A6000, which I highly recommend. The newest version of this camera is the Sony A6500. Tripod: I shoot handheld the majority of the time but if you want to take tack-sharp landscape photos or shoot stars at night (which I highly recommend), you’ll need a tripod. Don’t cheap out and buy a flimsy tripod that is going to drop your camera on the ground. Invest in a high quality, lightweight tripod and ball head. I personally love the Gitzo Traveler tripod, which is made out of carbon fiber and therefore lightweight, yet incredibly sturdy. Lenses: Lenses are a matter of personal preference; you should really understand your style of photography before you invest serious cash into them. If you aren’t sure if you want to buy a particular lens, I recommend renting them on Borrow Lenses. For my Sony, I have the 18-200mm, 10-18mm for wide angle shots, 17-60mm and a 32mm prime. Camera batteries and battery charger: I always travel with a ridiculous number of spare batteries because the last thing I want to do is have my camera go dead while I’m in the middle of taking a once-in-a-lifetime shot. Memory cards: Just like with batteries, I’d rather have too many memory cards rather than too few. Filters, like polarizing and neutral density filters: I used these a few times. Polarizing filters reduce glare and make blue skies pop. Neutral density filters are like sunglasses for your camera and reduce the amount of light coming it. It’s what allows photographers to blur movement in broad daylight, like waterfalls. If you’ve never used filters before, you should practice before you leave for your trip. Lens wipes: I’m picky about lens wipes since some of them leave streaks or little tiny fibers on the lens. My favorite are these Zeiss wipes. *Note: The post above contains some Amazon affiliate links. 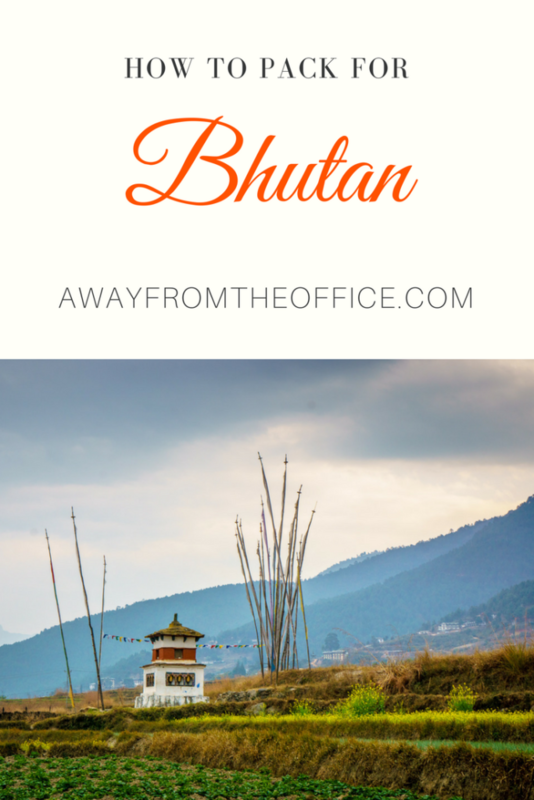 The products mentioned are all products that I purchased with my own money and brought with me to Bhutan. I only recommend products that I’ve personally used and love.